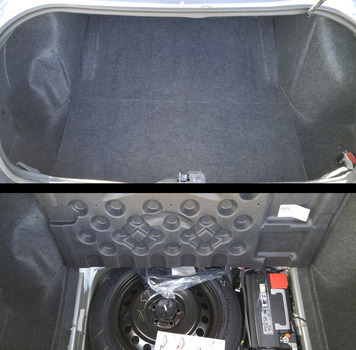 The battery on the Dodge Challenger is located in the trunk under the carpet in the spare tire compartment. Fortunately, this makes the battery pretty easy to get to and replace. 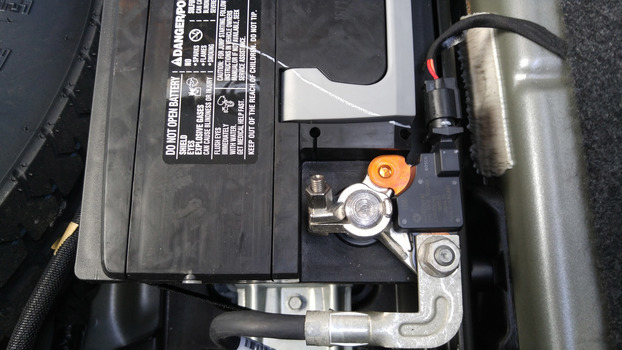 Make sure you find an adequate replacement as the battery must vent using the provided vent tube. 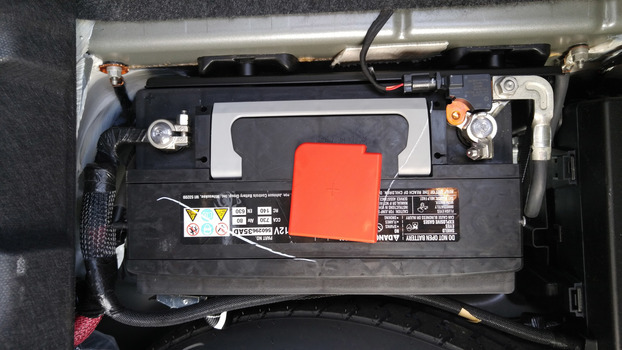 It is dangerous to use a non-vented battery in the passenger compartment. Battery: 2015 OEM 56029635AD, ACDelco 94RAGM, Exide Edge FP-AGML4/94R, Bosch S6587B S6. Any Group 94R battery with 730 CCA or higher w/ vent tube will work. Pop open the trunk and flip the carpet floor panel open. Remove the negative terminal connector using a 10mm socket or wrench. Unbolt the Battery Hold Down bracket. It's located at the rear base of the battery, you'll need a 10mm socket and an extension. Remove the bolt and bracket. Loosen the battery holding strap. Just press the metal tab down to release the strap. Flip up the handle on the battery and remove it carefully. It's extremely heavy. 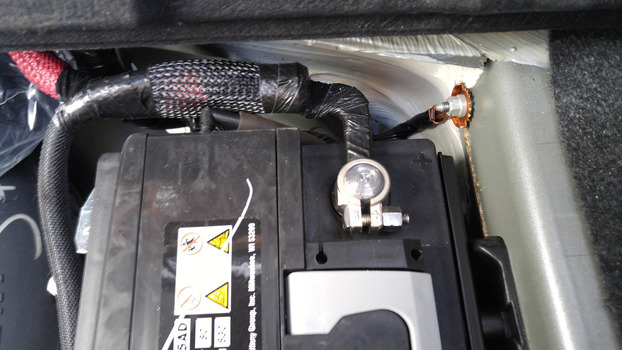 Carefully seat your new battery in place, sliding it tightly to the front outside corner of the compartment. 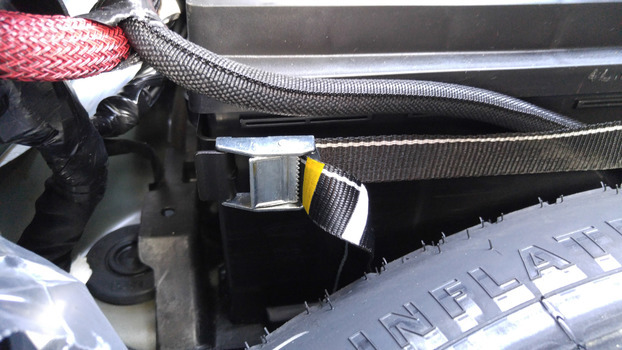 Re-install the strap, vent tube, and battery hold down bracket. Re-attach the battery terminals and snug the terminal nuts. Re-install the positive terminal cover and you should be done. @gtvas1224 - I don't see any reason why you couldn't use the post under the hood. 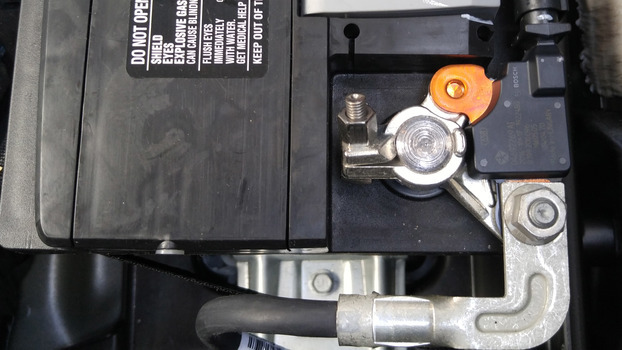 If it's designed to accept jumper cables, a battery tender should be absolutely fine.